"Go big and go home!” That should be Seattle-based filmmaker Leah Warshawski’s motto. The producer/director and her husband, Todd Soliday, specialize in documentary storytelling in remote parts of the world for commercials, features, branded entertainment, and reality shows. But in her latest documentary, Big Sonia, Warshawski turns the lens on her grandmother, a Holocaust survivor who, at 4’8” and 90 years old, has a towering personality. As a teenager, Polish-born Sonia Warshawski was forced into a ghetto, where she hid with her family in their attic before being sent to the Majdanek death camp. Since immigrating to Kansas City in 1948 with her husband, Sonia’s had a big impact on students who have heard her story and on the customers who have taken counsel on the posh divan in her withering-on-the-vine tailor shop in a deserted mall. History skips generations. The children of immigrant American Jews, embarrassed by their parents’ accents and tales of the old country, aspired toward assimilation. Bereft, the next generation is trying to recover the lost memory, language, religious affiliation, ethnic pride, and connection to the past. For survivors’ families, silence and trauma are often also outcomes. 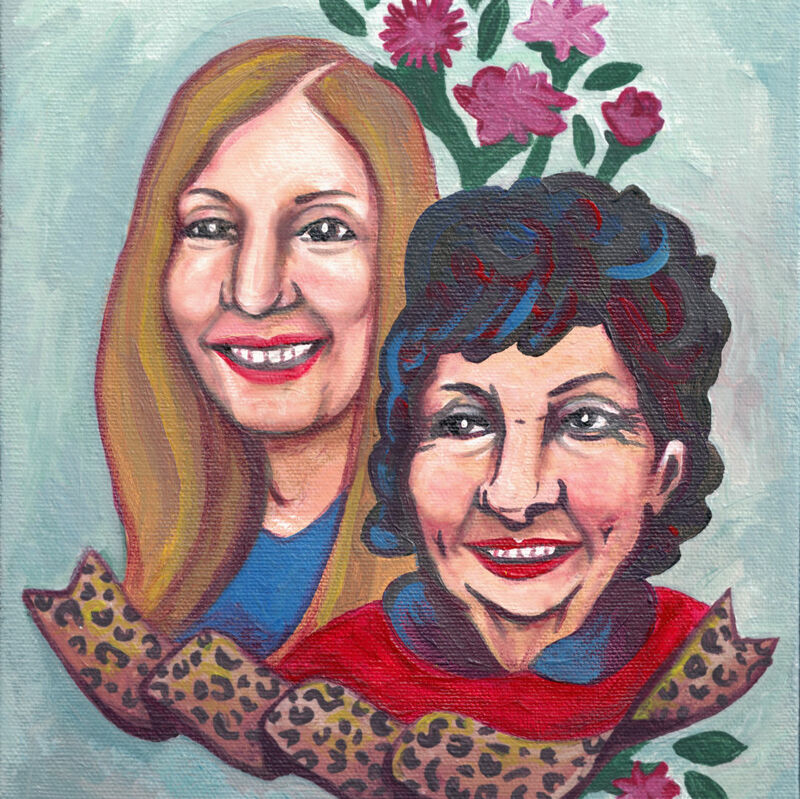 As filmmaker and granddaughter, Leah embraced this challenge, employing storytelling and cinematic techniques that honor Sonia’s personality and reveal the diminutive diva grandmother whose impact is considerable even if complicated. Jewish in Seattle: How did you get into filmmaking? Sonia behind the wheel of her leopard-print car. Leah Warshawski: By accident, really. I was working on an excursion boat during college when I met the marine coordinator for Baywatch. He needed a female assistant, and I got the job. David Hasselhoff and Carmen Electra were at the first “wrap party” I ever went to. I’m incredibly grateful for the mentors and professionals who gave me a chance without prior film experience. Tell us about your first documentary, Finding Hillywood. Codirector Chris Towey and I were in Rwanda in 2007 working on a corporate project, and we hired some local filmmakers who told us about “Hillywood,” a traveling film festival with an inflatable screen in the countryside that supports and promotes the work of Rwandan filmmakers. We wanted to make a short film. That idea turned into seven years of production. From Finding Hillywood to filming your grandmother in Kansas City, was this a case of journeying far to return home? I’ve always been interested in travel, adventure, and learning about other cultures. I’ve lived in more than 10 cities in the last 30 years. Themes that resonate most in my work are reconciliation, healing, family, intergenerational trauma, and triumph over challenges. Producing Big Sonia has allowed me to spend more time with family than ever before, and that has been a blessing. What is it like to work with your husband and turn the camera on yourself and your grandmother? 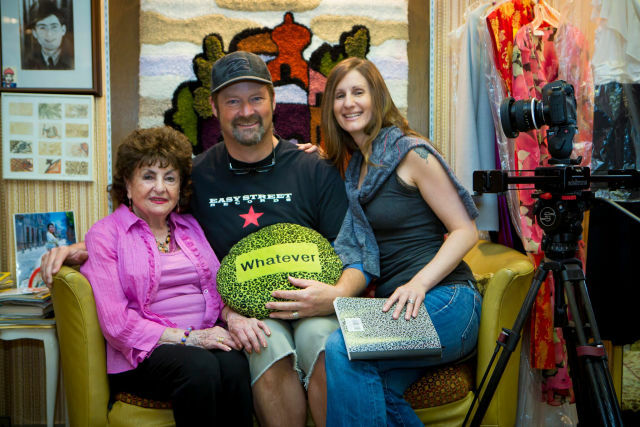 Our family always felt that Sonia’s shop would be a good location for a reality show, but Todd understood we could make an engaging and important film. It’s very difficult and emotional to take on your family stories, and Todd is an incredible sounding board and partner. 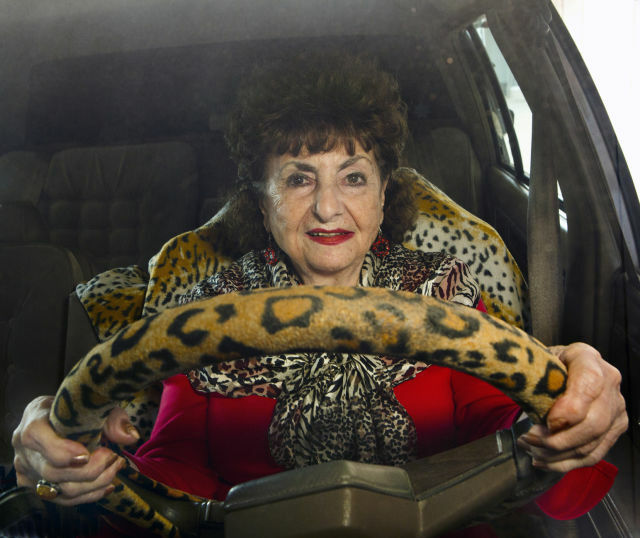 Big Sonia has so many rich, visual storytelling elements — animation, tilt shots sizing up Sonia’s stature, 360-degree tracking shots going around Sonia and her Cadillac, both decked out in leopard print. How do they help tell her survivor’s story and capture her character? We are most proud of the graphics and animations in Big Sonia. They also help us reach a broader (and younger) audience, many of whom don’t know about the Holocaust. Instead of using archival footage, a team interpreted Sonia’s doodles of her teenage memories. The result is vivid, colorful, and haunting. Sonia, Todd, and Leah on the divan in Sonia’s shop. What was most difficult, most rewarding? We have a very talented team, but funding dictates what we can do and how fast we can work. Sonia is 90 years old and our ultimate dream is for her to be a part of the outreach, so we have a lot of anxiety about finishing while she’s in good health. We recently showed a rough cut to Sonia and she said, “I thought this was just going to be a movie, but now I realize it will go on and on,” and that was incredibly rewarding as well. Is this a Jewish film? Because Sonia is a Holocaust survivor, a lot of people are quick to call Big Sonia a “Jewish film,” but we’ve chosen to interweave themes about history, family trauma, the death of American retail, resilience, redemption, etc. Our audience spans age, race, culture, and religion, just like Sonia’s customers. Big Sonia just had a work-in-progress screening at SIFF. What’s next? We’re planning to finish soon, then work on a broadcast version and educational supplements for classrooms and community screenings across the country (in collaboration with Film Sprout) and have a limited theatrical release beginning in the Midwest, where Sonia is based. We anticipate three to five years engaging audiences once the film is complete. A mentor gave me this advice: “Nobody owes you anything.” Be willing to get your hands dirty and get comfortable with rejection. Making a film is a marathon and it’s not for everyone. I have so much advice for aspiring documentary filmmakers that I’m now consulting with a lot of filmmakers embarking on their first film. One of the first things I like to mention is that filmmakers need to wear many hats and be willing to fail and learn from those mistakes. The mistakes often turn out to be incredibly valuable! Big Sonia will screen at the 2017 Seattle Jewish Film Festival. Learn more at bigsonia.com.